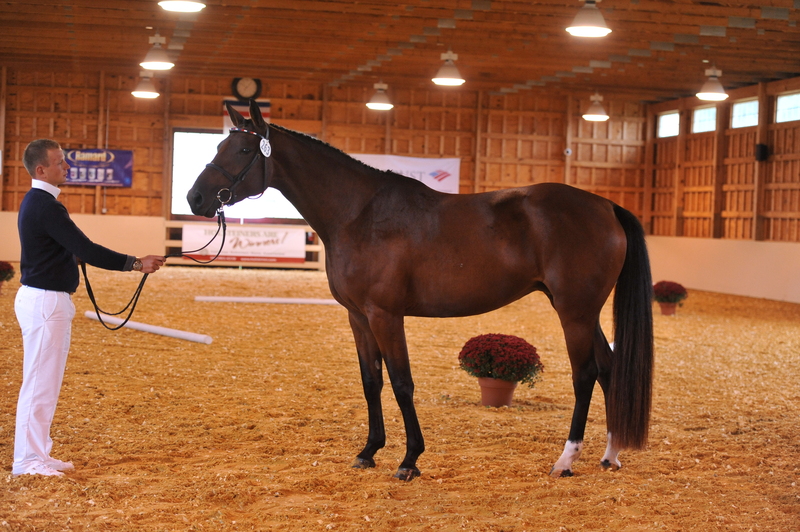 Danke Schoen is a 2011 Champion Holsteiner mare by Quinar out our mare F-Laureen 016. This beautiful and feminine mare is a gem! She’s friendly, easy to work with and moves with athleticism and grace. Danke Schoen received 51 Bonit points and was Site Champion at her AHHA Inspection in 2015. She was presented with her 2015 filly by Cicera’s Iewater who scored premium.